2. In the meanwhile, cook strawberries on slow flame. Allow them to release their juices and slightly thicken. Add sugar and cook for another couple of minutes. Gently mix the stewed strawberries. Let them cool. 3. When thickened milk is cool, add cashews, cardamom powder and stewed strawberries. Blend well with a whisk. Pour into moulds or ice-cream tins for setting. Set in freezer overnight. Demold & serve chilled. Garnish using chopped pistachio or almond slivers. Adapted from malai kulfi recipe. 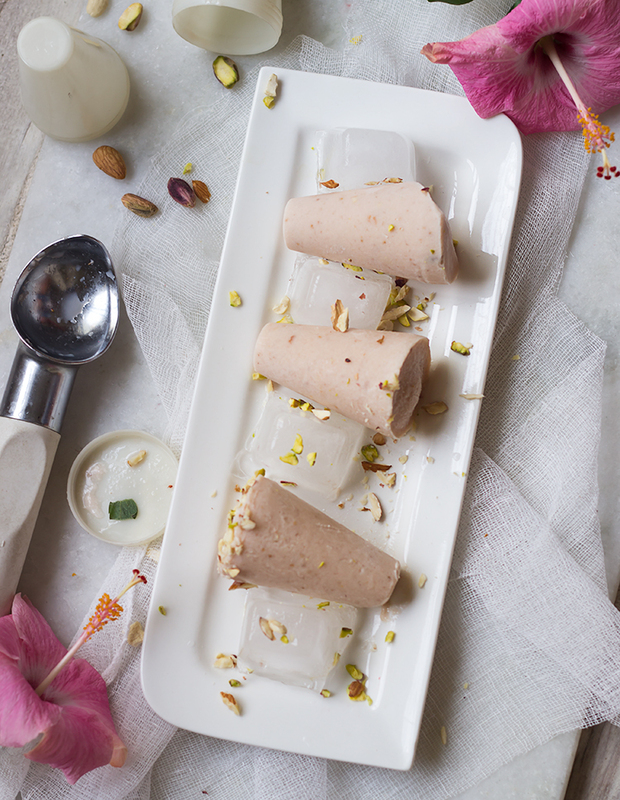 You can use similar method to make kulfi from any fruit of your choice.